Impressed that Bahrain ran out a 3-0 friendly win against Togo back on September 7th? Yeah, so was Bahrain. So much so that they checked and apparently the squad that took the field wasn't the one requested for the friendly through "correct channels". Bahrain even went so far as to get the list of players and their passport numbers, yet were given a new list of players just before kickoff that did not match up. They even went through a FIFA approved scheduler, so it begs the question, just what is it FIFA does when countries pay their licensed schedulers? 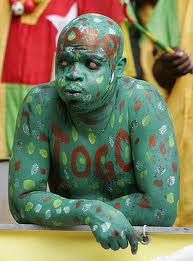 Togo's sports minister Christophe Chao went on to say, "Nobody has ever been informed of such a game. We will conduct investigations to uncover all those involved in this case." Bahrain even confirmed all the paperwork was received and stamped in the appropriate places by the Togo sports ministry. Bahrain claimed their first win under Austrian coach Josef Hickersberger as they overwhelmed Togo 3-0 at Bahrain national stadium. The Asian nation had returned consecutive draws with China and Qatar in Hickersberger's opening two games in charge. Bahrain opened the scoring after nine minutes through their striker Jaycee Okwunwanne who followed a neat pass from Abdullah Omar with a close shot into the net. Okwunwanne scored his second goal in the last seconds of the first half when he diverted a cross from Mohamad Hubail. Bahrain continued their dominance in the second half and they added a third goal from the penalty spot after 67 minutes. Sayed Mohamad Adnan was fouled inside the area and Ismaeil Abdullatif made no mistake. The Bahrainis will continue their preparations for the forthcoming Gulf Cup in December and the 2011 AFC Asian Cup with a friendly against Kuwait next month. The funniest part of all of this is that FIFA was smart enough to remove the match from the "recent wins" section of their Associations site, but not the article praising Bahrain on their "win".